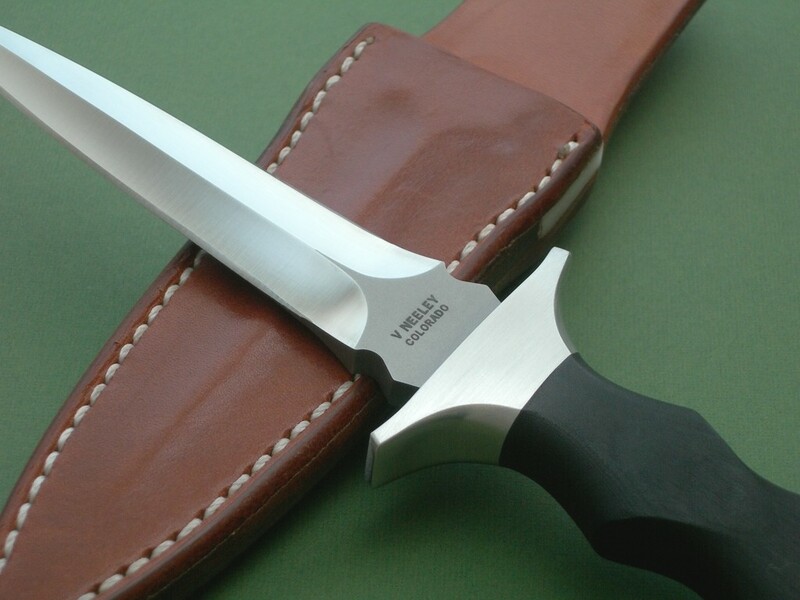 Summary: this is Vaughn's double-edged BD "Boot Dagger"... a fantastic knife and little brother to his longer 8" custom dagger. 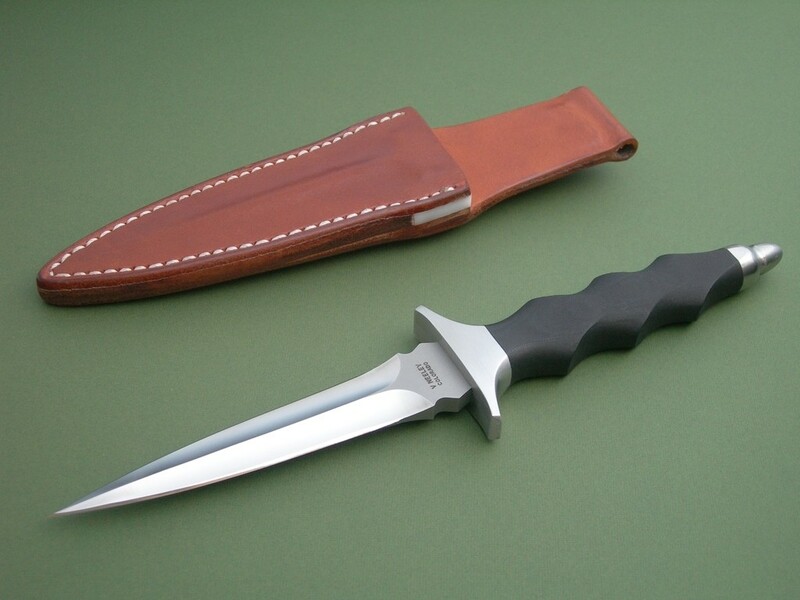 The pinpoint blade is 440C stainless made from 1/4" stock -- 303 series stainless steel fittings (guard and pommel) at both ends of a one piece hand sculpted black linen micarta handle. If you own one of the longer daggers then expect more of the same quality, engineering and craftsmanship -- Vaughn absolutely labors over every knife that goes out the door. 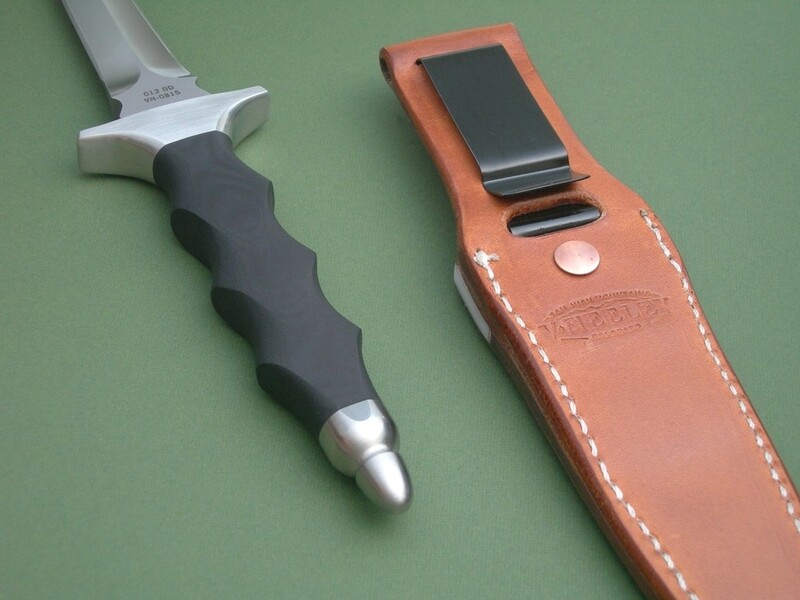 This dagger is fitted to a handmade leather belt sheath with belt / boot clip -- snug fit and the knife will not fall out if turned upside-down. 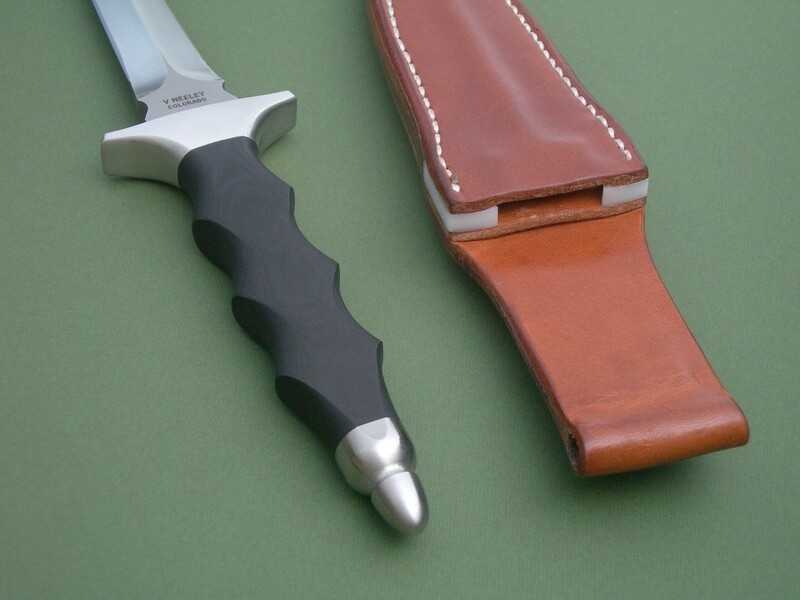 The sheath is brand new and in mint condition. 6 photos of BD #012 for review -- this #026 is brand new and in mint condition. 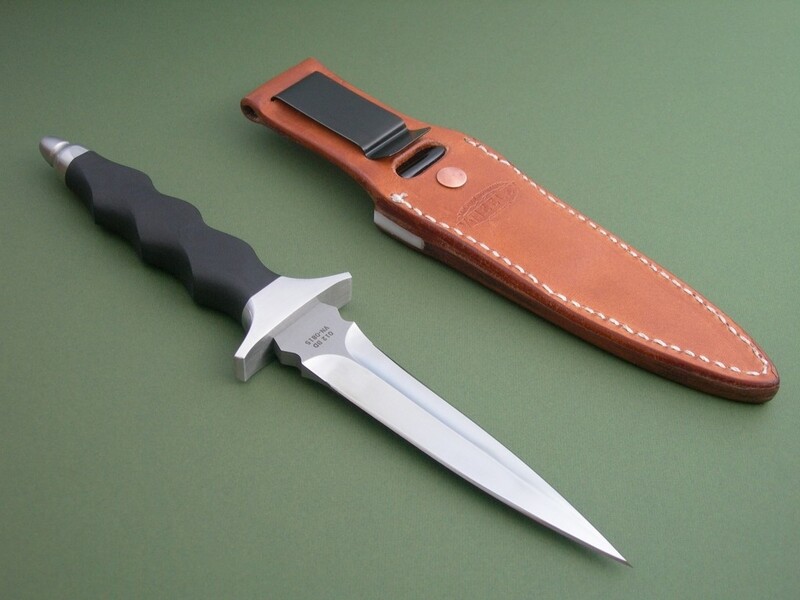 This is one hell of a knife and a bargain at this price, feel / fit / finish is second to none and I guarantee you will love the design. Thanks and good luck. 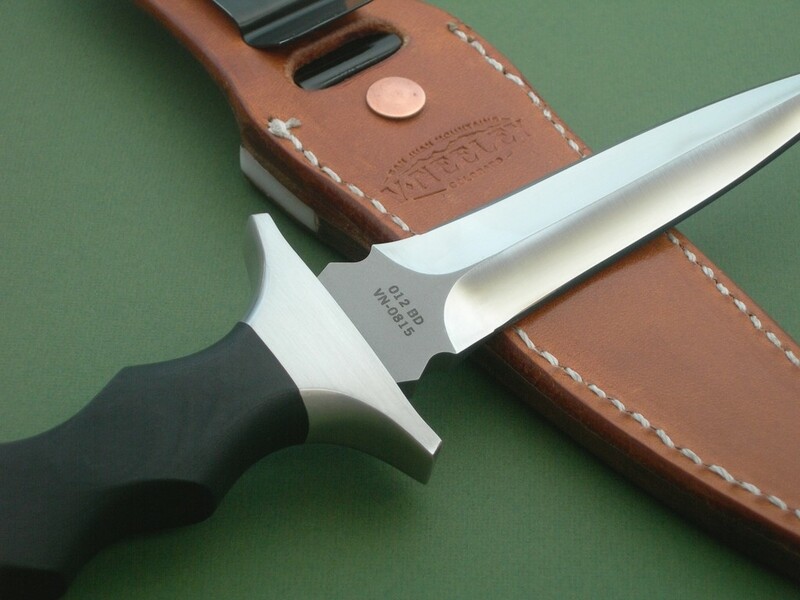 Neeley Boot Knife - Blade Length 5 inches, Symmetrical Double Hollow Grind • Narrow Tang, Threaded Pommel • 1 Piece Sculpted Black Linen Micarta Handle • Overall Length 10 inches • 1/4" 440C Stainless Blade hardened to 60 RC • Solderless Fit 303 Stainless Steel Guard • 303 Stainless Steel Pommel • Handmade Leather Sheath with Metal Boot / Belt Clip.